Ever since the complete takeover of Cardiff City Football Club by Vincent Tan in 2010 it has become ever more apparent that he has set his eyes on making Cardiff City the next Manchester United. His obsession stems from Manchester United’s marketing success in his homeland of Malaysia. So what’s wrong with trying to imitate the most celebrated football club in British football? Well it turns out that Mr. Tan has been left asking himself the same question for the past season after the fans outrage over the running of the club. It seems a good place to start with changing the colour of the home kit from blue to red which Tan did at the beginning of his second season after taking full control of Cardiff City. He did this because in Malaysia red is a symbol of good luck and courage which is why Manchester United became so popular in the South Asian country. Well, that and the massive success in every competition that they played in. People in Malaysia genuinely believe that Manchester United’s success is due to the colour they play in. This belief probably would have escalated because after one season of wearing the red strip Cardiff were promoted to the top flight of British football for the first time in 62 years. However they proved this theory wrong this season because Cardiff were relegated after one season in the premiership, finishing bottom, and Manchester United finished in their lowest a lowest league position since the premiership began and not qualifying for European football. I believe that our promotion wasn’t because of the colour of our kit but because of the management of Malky Mackay which brings me to my next point, the appointment of Ole Gunnar Solskjaer. When Malky was sacked by Tan at around Christmas time last year, Cardiff were outside the relegation zone and were projected to finish 16th (which meant Cardiff would have stayed up) but after a dispute about over spending in the summer transfer window Tan brought in Manchester United and Norwegian legend Ole Gunnar Solskjaer as Cardiff City’s new manager (a post where he still remains today). However I, like most Cardiff fans, refuse to believe that he got the job solely based to his managerial experience. Ole had spent several seasons managing Molde in the top-tier in Norway and are we supposed to believe that because of that he was good enough to manage a club in a relegation scrap in, what is probably the hardest league in the world? No. He was offered the job because of his time at Manchester United. Ole was a world-class striker in his prime and played with some of the best players to ever grace the football pitch. He then went to manage the Manchester United youth team were he became familiar with several young talents from all across the world. Ole Gunnar Solskjaer has been heavily criticised over transfers that he has made since his appointment however none more so than has former players from Manchester United (Apart from Kenwyne Jones). When Ole came Cardiff already had one ex-Manchester United scholar on their payroll in Frazier Campbell but he proceeded to bring in another four and almost signed another. Those four were Mats Moller Daehli, Magnus Wolff Eikrem and Fabio Da Silva whom he signed in January and this summer he signed the fourth in Federico Macheda. The problem with this is these players aren’t without their criticisms. When Cardiff signed Magnus Wolff Eikrem every Cardiff fan dropped their jaw at the thought of having a player who can do what he displayed from a dead ball situations in both the Dutch and Norwegian leagues but he was never given the chance to play in the premiership but maybe in the championship he will come into his own and get the confidence to perform well. The main positive to Eikrem is that his ability from set pieces which is always useful as recently Peter Whittingham and Craig Bellamy have been the only players who could take corners and free kicks but now as Bellers has retired and Whittingham’s performances have been worse than questionable, we now have a third option. Fabio seemed to be exactly the player Cardiff fans wanted. A left back that wasn’t afraid to get forward but had good experience at a high level. But it seemed that his attacking work rate got the best of him several times as me made several costly errors what more often than not resulted in Cardiff conceding a goal. It didn’t help that he was mostly playing down the right and had the equally high pressing Declan John on the left side. In my opinion Fabio would play better as a wing back much like Dirk Kuyt has played for Holland in the World Cup. Federico Macheda only signed for Cardiff City this summer after having two successful loan spells at Doncaster and Birmingham last season. Even though he joined as a free agent after his release from Manchester United he still seems to have a good career ahead of him as he is only 22 years old and now has a very good ex-striker as his manager again. However Cardiff does have a massive influx of strikers at the moment so he will have to fight for a place in the Cardiff team. Ole came very close to signing Hannover 96 striker and former Manchester United academy scholar Mame Biram Diouf in January but has since joined Stoke City after failing to renegotiate a contract with the German outfit. Another Manchester United outcast that joined Cardiff, but this time on loans for the second half of last season, was Wilfred Zaha. He had a lot to live up to after he made a £15 million move from Crystal Palace the previous summer but hadn’t been able to make his way into the first team. When he joined Cardiff however, he showed no loyalty to the club on many occasions including walking straight down the tunnel, taking off his shirt and having a tantrum at least twice. He hogged the ball, dived theatrically and attempted unnecessary skill moves all the time. It was infuriating to watch. Finally the most successful January signing, if you ask most Cardiff fans, was Mats Moller Daehli. He joined for a cut price thanks to Ole’s connections at Molde and has since flourished as a Cardiff player. He was so good in his half season at the bluebirds that he was linked with a move to Chelsea. Rumours emerged, which Ole confirmed, that Cardiff were going to attempt to sign Daehli in the winter window anyway but had it not been for Ole and the Manchester United influence maybe Cardiff would have paid over the odds for him or maybe not signed him at all. Adam Le Fondre admitted that he signed for Cardiff this summer because he always wanted to work with his hero Ole Gunnar Solskjaer which means Ole had done what both Dave Jones and Malky Macay attempted but failed at, signing Adam Le Fondre. Ole Gunnar Solskjaer also made a signing which added to his back room staff. This saw former Manchester United full back Quinton Fortune join Cardiff city as a defending coach. The South African joined Man United in 1999 and played with Ole until 2006 when he left to join Bolton wanders. Vincent Tan clearly wants Cardiff City to the next Manchester United but there are many upsides and downsides to this. 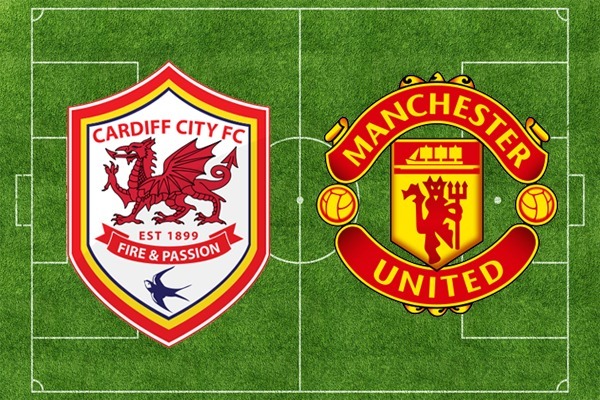 Will Cardiff be the next to Manchester United or is this a recipe for disaster? Do Cardiff fans want to be known as the club that attempted to be like Man Utd? We will have to see in the seasons to come.